Infiniti Vice President Ben Poore plans to expand the brand's store count to 200 from 182. NASHVILLE -- Infiniti intends to expand its dealership count by 10 percent as the luxury brand gains market share and adds models. Without committing to a specific timetable, Ben Poore, vice president of the Infiniti Business Unit, said he is planning to expand the network to 200 stores, up from 182 today. The additions will come from a combination of filling existing open points where the brand formerly had stores and entering new markets, Poore told Automotive News at Infiniti's U.S. headquarters here. "There are points where we need to be where we're just not in today," he said. "We're growing, and the profit is there. Now is the time to grow." Such expansions have been rare in recent years as the industry contracted and automakers attempted to shore up retailer profits. 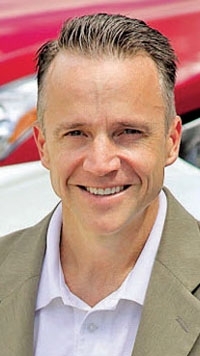 Poore said Infiniti dealers set a record for profitability in June, more than doubling the performance of a year ago. Infiniti's U.S. sales totaled 74,797 units for the first nine months of this year, up 25 percent from the same period in 2009. Market share stands at 0.9 percent now, up from 0.8 percent a year earlier. In September, an Infiniti dealership opened in Bakersfield, Calif. Another store will open this month in Santa Monica, Calif.; Infiniti has been absent from that market for a year. The Memphis market has a second store under construction. "I'm right on the cusp of deciding on several more markets," Poore said. The Memphis store is following an architectural plan that Poore is asking dealers to adopt, called the Infiniti Retail Environment Design Initiative. The plan includes a large interior glass wall, a common lobby-lounge design and new outdoor signs. Until January of this year, only 20 of Infiniti's retailers had embraced the new look. Indeed, dealers around the industry were avoiding capital expenditures. But according to Poore, 30 more Infiniti dealerships have begun building programs in the past nine months. Infiniti began selling a smaller-engine G-series sedan, the G25, this month. In addition, Poore revealed this summer that Infiniti will begin marketing a performance sub-brand called IPL, short for Infiniti Performance Line. A hybrid M sedan will debut next year, and officials have said that an electric four-door vehicle will appear in 2013.